Look, up in the sky! 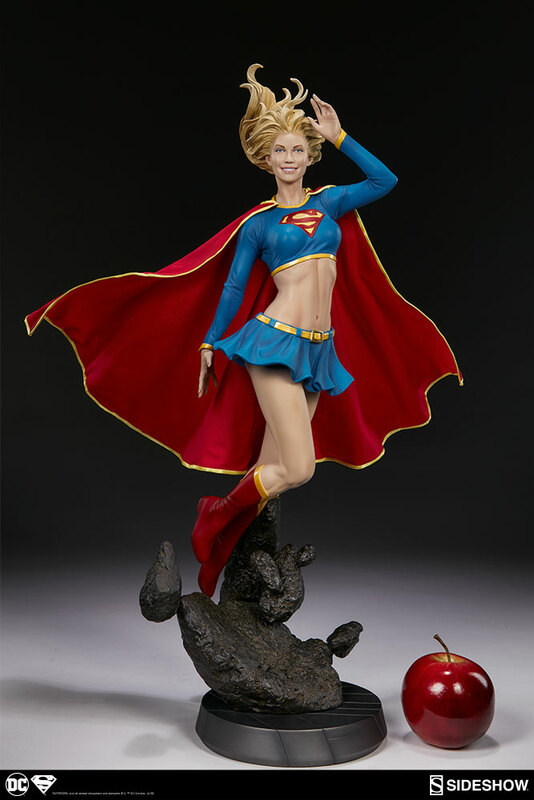 Sideshow Collectibles is proud to present the Supergirl Premium Format™ Figure. 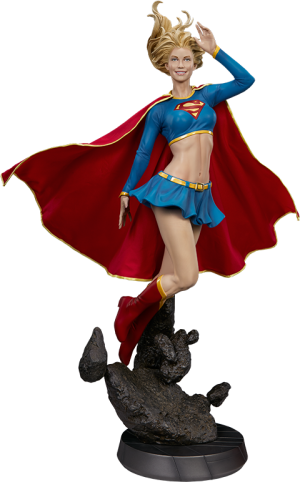 Born Kara Zor-El on the doomed planet Krypton, Superman’s long-lost cousin Supergirl shares his iconic ‘S’ emblem and all of his phenomenal superpowers. Still searching to find her identity on our home planet, the Girl of Steel takes flight in a 24" tall gravity defying composition high above Earth’s atmosphere, with her perfectly tailored cape billowing out behind her. 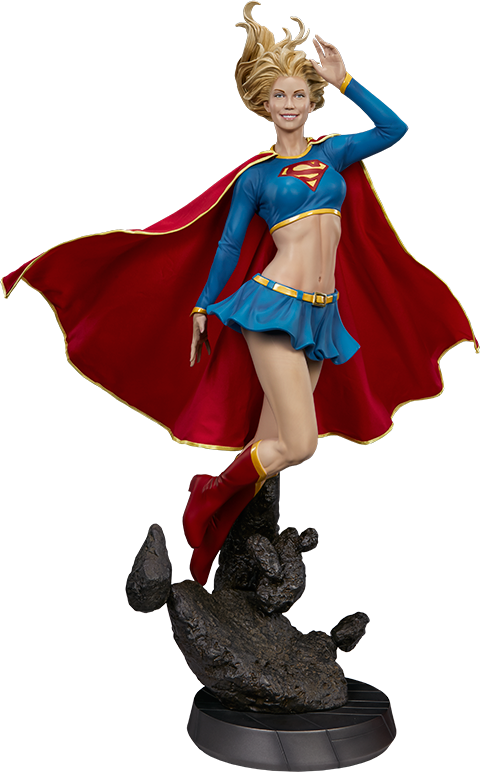 Simply radiating with a dazzling smile, she’s equally ready to light up the room or humanity’s most dangerous enemies. 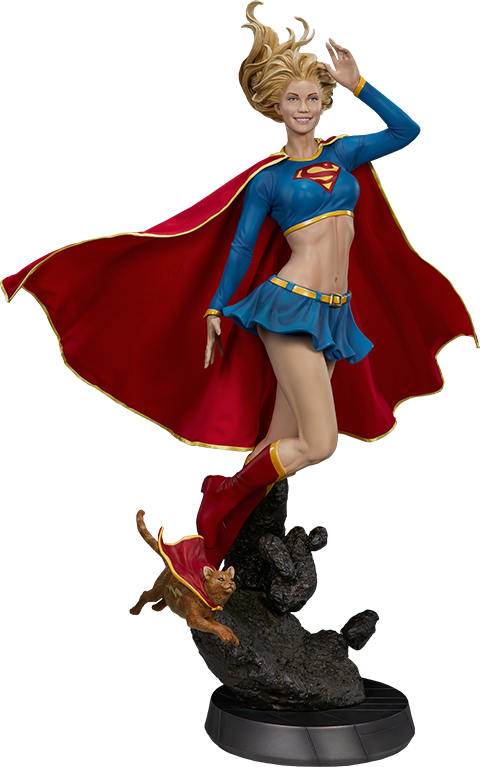 A must-have for DC Comics or Superman fans, Sideshow’s Supergirl Premium Format™ Figure will take your collection light years above and beyond! 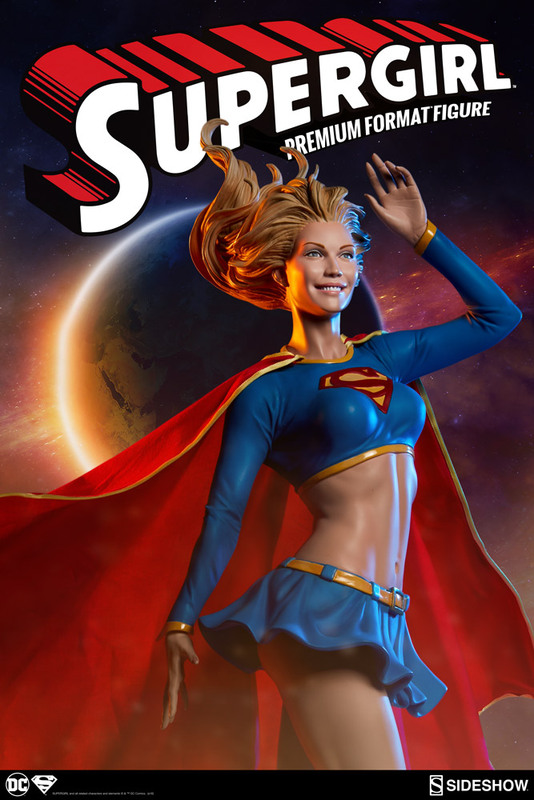 Born Kara Zor-El on the doomed planet Krypton, Superman’s long-lost cousin Supergirl shares his iconic ‘S’ emblem and all of his phenomenal superpowers. 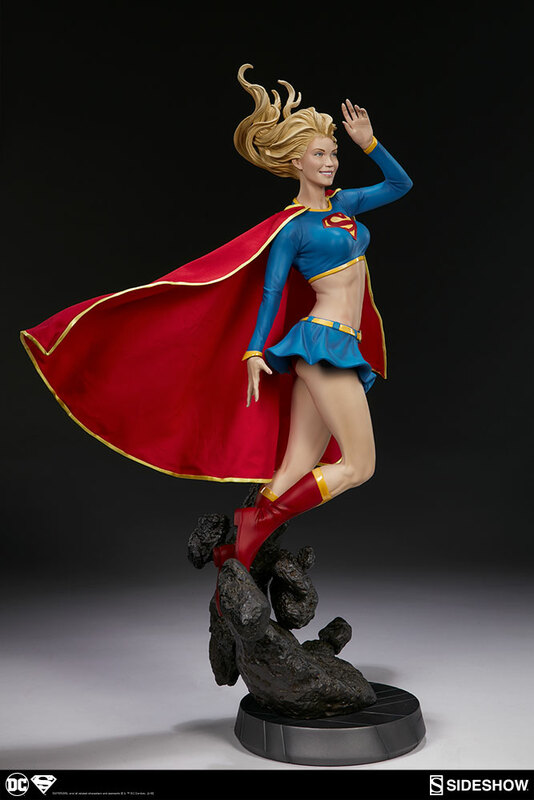 Still searching to find her identity on our home planet, the Girl of Steel takes flight in a 24" tall gravity defying composition high above Earth’s atmosphere, with her perfectly tailored cape billowing out behind her. 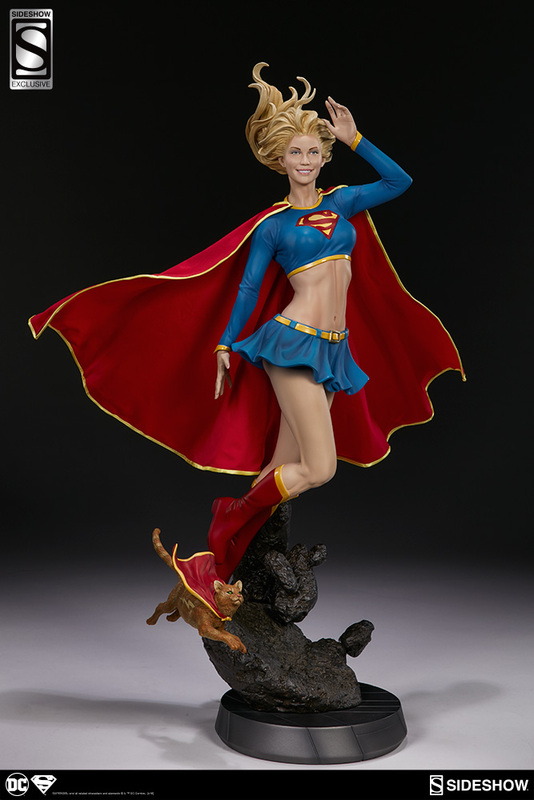 Simply radiating with a dazzling smile, she’s equally ready to light up the room or humanity’s most dangerous enemies, with her faithful feline companion Streaky the Supercat hot on her heels. 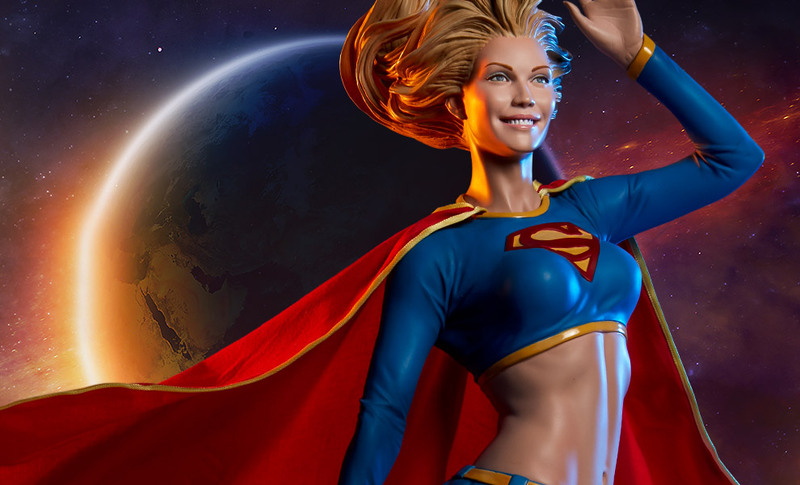 A must-have for DC Comics or Superman fans, Sideshow’s Supergirl Premium Format™ Figure will take your collection light years above and beyond! This is my first Sideshow piece. 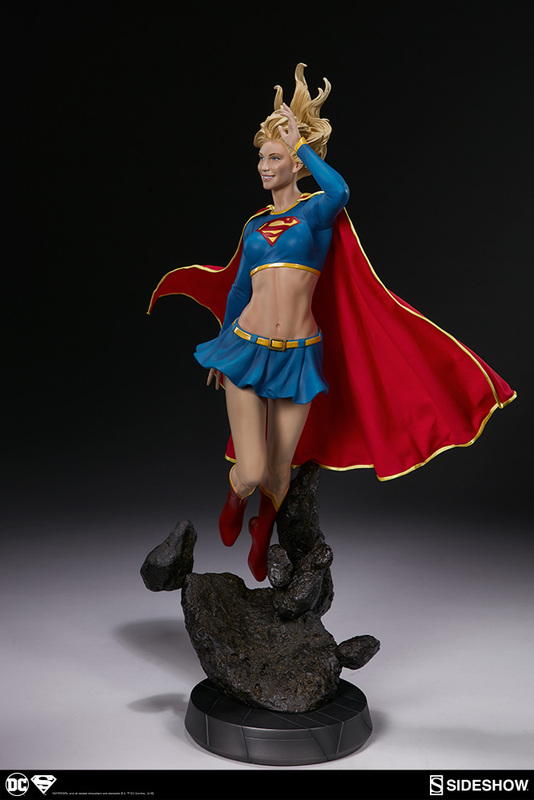 She is perfect, heavy in weight and a little larger than I expected, closer to some of my 1/4 scale statues. 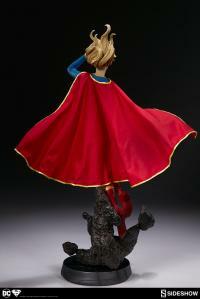 The cloth cape is a nice touch and the detail is good. 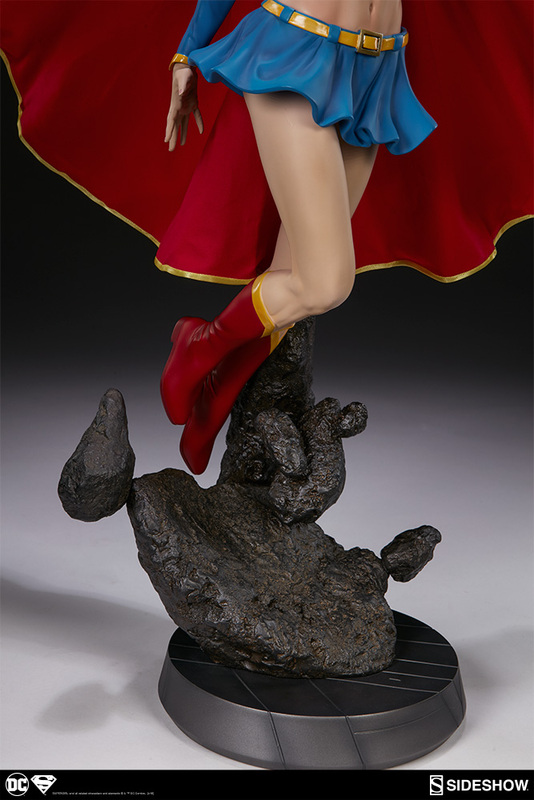 One complaint, I was not expecting to have to assemble her and the video was not great. 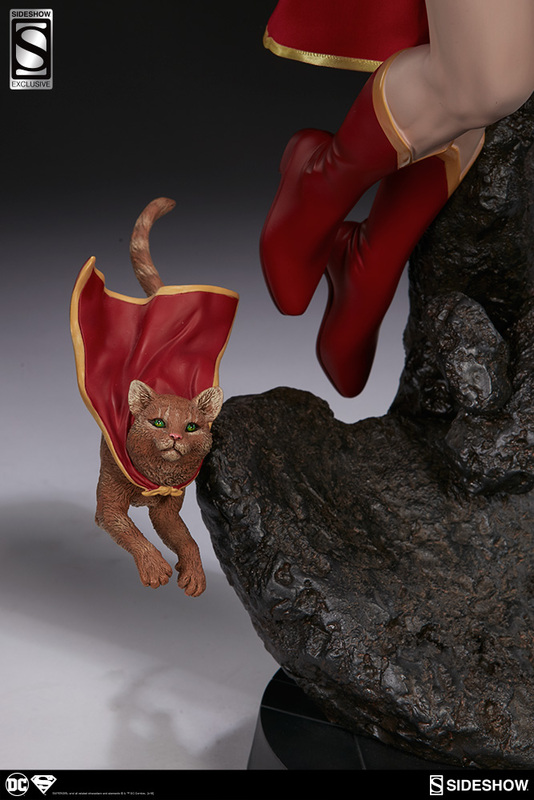 This statue right here is a perfect example of a statue made for display, from streaky the cat to her cheeky "every things going to be ok" grin, sideshow have again hit another home run with the DC universe. 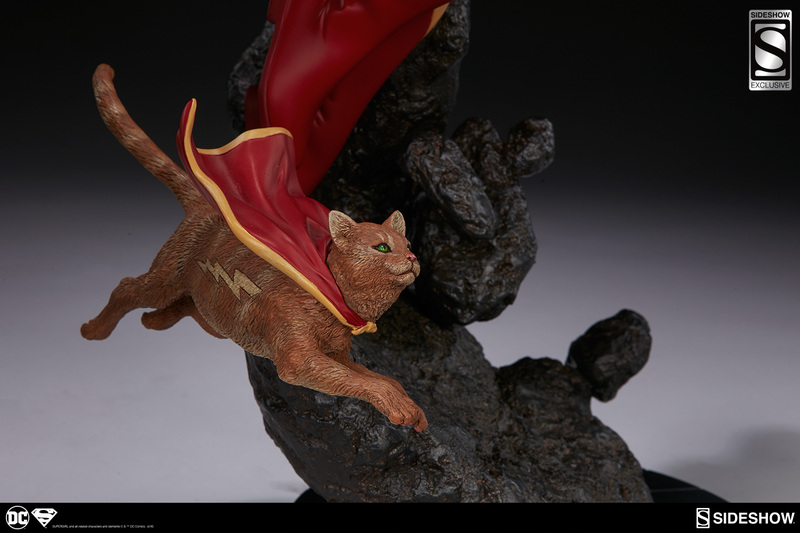 I was on the fence with this one, but she gets the most likes from my visitors.